Madison, Wisconsin – Thursday, January 18, 2018 — Proud Theater, Wisconsin’s premier LGBTQ+ Youth Theater organization, in collaboration with Trinity United Methodist Church, PFLAG-Madison, and the First United Methodist Church of Madison, will hold its Third annual LGBTQ+ intergenerational conference, ‘Connections III: Portraits of Us’. 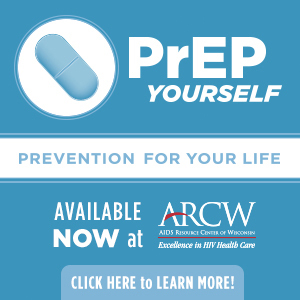 The event is open to members and allies of the LGBTQ+ community, and will be held on Saturday, March 10, 2018, at the First United Methodist Church, 203 Wisconsin Avenue, in Madison, Wisconsin, from 9am to 4:30pm. Designed to bring together multiple generations of the LGBTQ+ community, Connections was developed in 2016 with the express purpose of building positive bonds among LGBTQ+ community members of all ages. The conference is a laid back day of fun, storytelling, and interactive activities that explore the intersectionality between LGBTQ+ generations and promotes mutual sharing and understanding between all who attend. This year, the Connections conference will focus on building bridges between generations and focus on stories that define the LGBTQ+ community – both globally and personally. Lunch and snacks will be served throughout the day. Registration for ‘Connections III: Portraits of Us’ begins January 18, 2018, and registration forms can be requested by sending an email to reservations@proudtheater.org. Space is limited, and a donation between $5 and $20 dollars is suggested to attend. Parking is available at the Dayton/Pinckney Ramp across from the church; however, parking at the church is reserved for those with special mobility needs. Event organizers are also looking for a diversity of volunteers to assist in the development of the conference, as well as to help out on the day of the event. If interested in volunteering or becoming part of the development team, send inquiries to info@proudtheater.org. 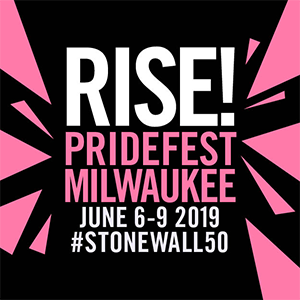 If you would like to become a financial sponsor of the event, tax-deductible donations can be sent to Proud Theater-Connections at PO Box 6306, Monona WI 53716, or made via PayPal through the link on the Proud Theater website. Various levels of sponsorship are available, and all donations should be specified for the Connections event when submitted. For more information on ‘Connections III: Portraits of Us’, visit www.proudtheater.org, the Proud Theater Facebook page, or contact Proud Theater via email at info@proudtheater.org or by calling 608-222-9086.